その他情報 Top-Agro is general distributor and official Partner of Grano! 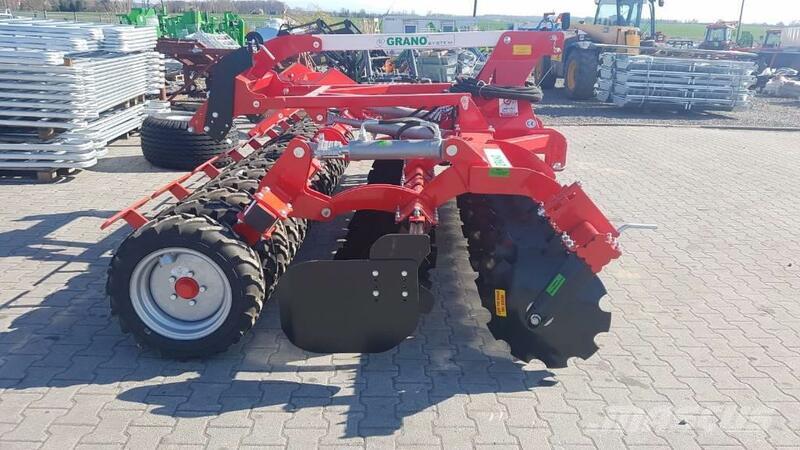 Disc harrow in half-suspended version with transport drawbar on the tires shaft. 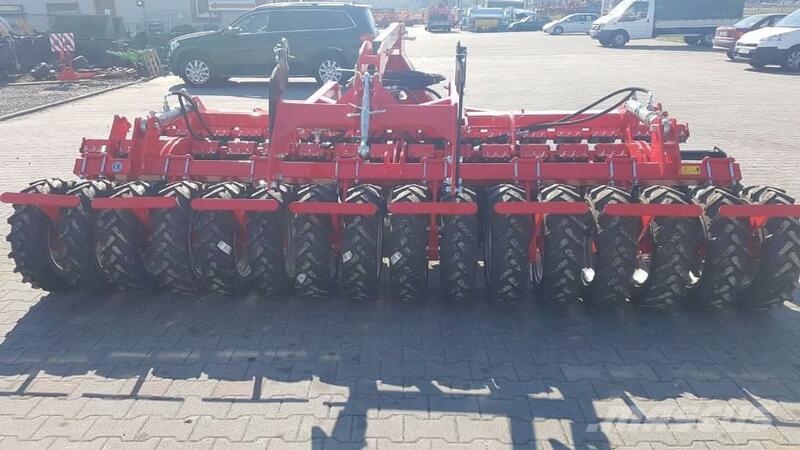 It is primarily a combination of cultivation and sowing in one pass of the tractor. 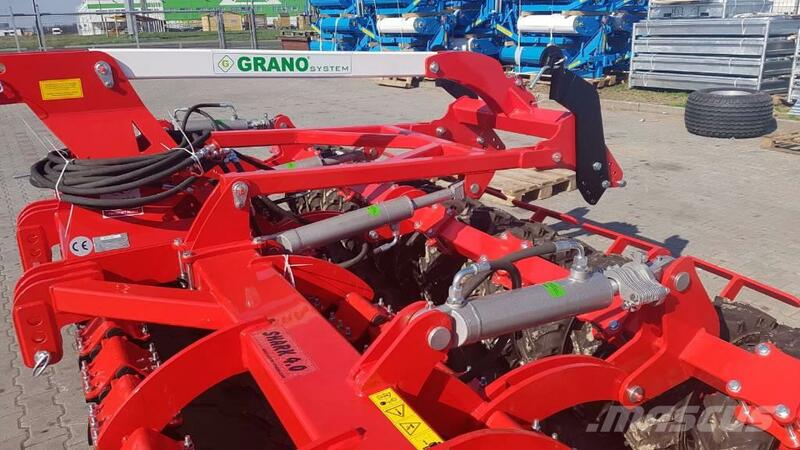 As standard, the hydraulic control shaft and HYDROPACK with 2 cylinders Tires shaft consists of a wheel with a diameter of 610 and a width of 336mm. The shaft has a dual use. 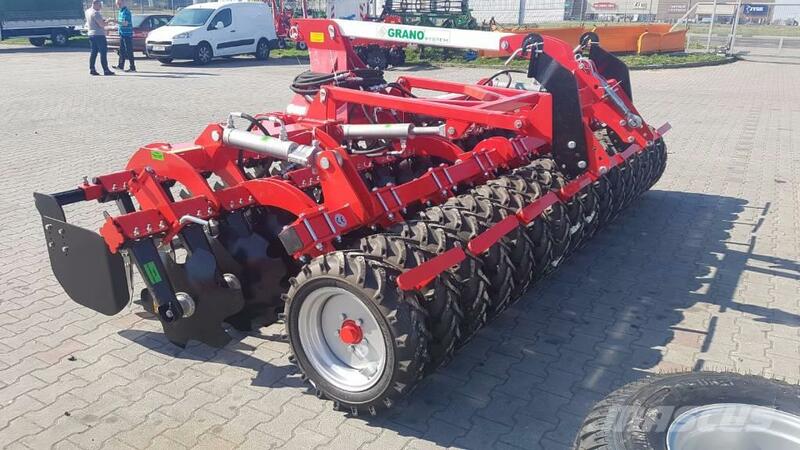 The first to compaction of the soil, and secondly to transport the machine. 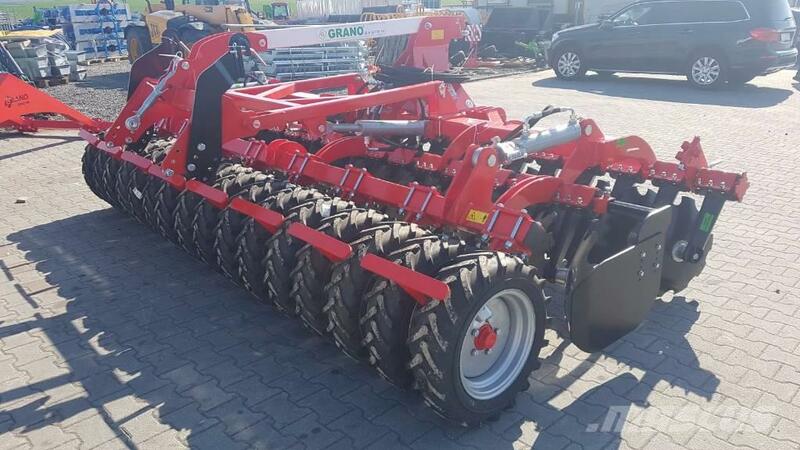 Thanks to this shaft obtain a compact design of the machine and transport across the entire width, 3 meters.Main advantage of the half a suspended harrow with tire roller is low power consumption, which greatly reduces the costs associated with the cultivation of the soil. 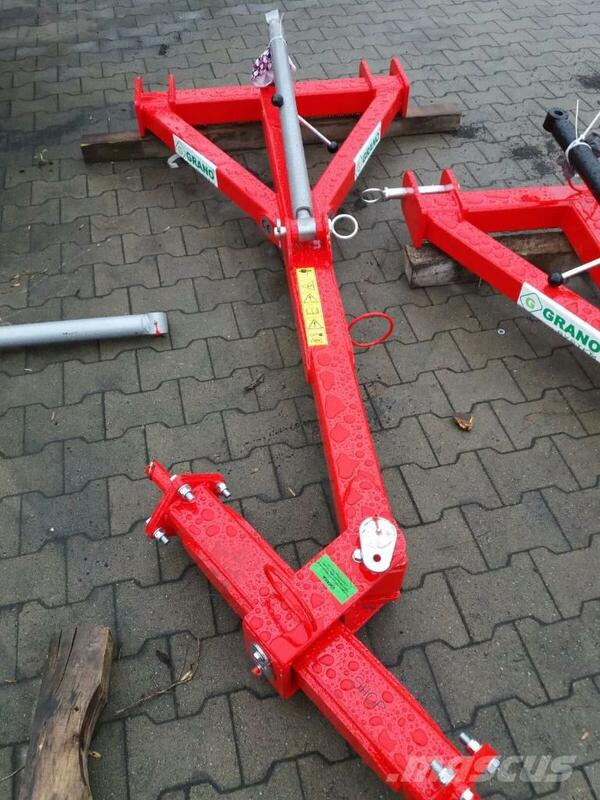 Available also other models: 2,5m - 3,0m - 5,0m - with hyraulically folded frame.